Posted on October 11, 2017 at 2:18 pm. All Slots Casino is getting into the Halloween spirit this October by giving registered players the chance to win a share of €400,000 all month long. How? By hunting monsters, of course. There’s no need to get out the wooden stakes, silver bullets or zap gun though, as the Monster Hunt promo requires nothing more than playing your favourite casino games at All Slots for real money bets between the 3rd October and 5th November. Every bet you place will earn you loyalty reward points which work towards filling up your Monster Meter, where you’ll catch a different monster for every milestone you hit. There are 60 monsters waiting to be caught, with an instant prize rewarded for each one you unlock. Each monster you catch will earn you instant prizes that include free spins, booster reward points, casino credits and cash prizes. There’s even an exclusive Ultimate Hunter prize waiting for the Monster Hunter who manages to catch all 60 monsters. There’s hundreds of games to choose from at All Slots Casino, but if you really want to get in the Halloween spirit there are plenty of monster and horror themed slot games to get you in the mood. Why not give Microgaming’s So Many Monsters, Monster Mania or Scary Monster slot games a spin, or have a scratch on the Halloweenies instant-win scratch card. 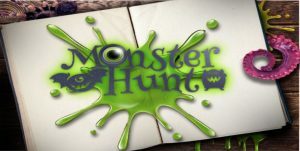 Whichever game you choose to play, head to All Slots Casino and join the Monster Hunt today for your chance to win.